Strategic HR professional, proud OU Bobcat, lover of all Rock music and confessed HR Radical !! Author of the best-seller "HR on Purpose !!" Founder/CEO Leute Management Services, LLC. HR consultant specializing in sourcing and recruiting. Speaker, trainer, blogger, and job seeker advocate/counselor. Writer, speaker and entrepreneur who is fixing work. HR Director for @stwater previously @PenguinUKBooks. Speaker. Writer. Walker. Curator of #traincrimes. Once called “the most dangerous man in HR” - a low bar. HR Pro, https://t.co/AZcaIa6Uxf; https://t.co/BVQTL2lkNQ; Fistful of Talent; Husband of Hall of Fame wife. World's foremost expert on Workplace Hugging! Artist and consultant. Embracing uncertainty, sketching myself into existence. Helping people do things differently, through an artistic lens. Pivot complete to saving our democracy, travels w Wallace, writing/sketching, Golden Age mysteries, professional theater, community philanthropy, and much more. Director of HR @ Mel-O-Cream Donuts, ILSHRM volunteer, Ice hockey referee, husband, dad and recovering geek. CEO @BrandedStrategy, Forbes Agency Council, Speaker, Writer - working w/ #HR orgs to make #employerbranding, #HRTech, culture & #recruitment marketing better. I'm the author of @HRbartender & @UnretirementPro. And a management/leadership consultant. My personal goal is to find the world’s best cheeseburger. If you're looking for @AvidCareerist, please visit @DonnaSvei. Executive Director of NGO working w/businesses to address domestic violence as a workplace issue. No one sees a miracle who is not looking for one. Author, Speaker, MBA, LSS Black Belt, SPHR. VP of Customer Experience for @Dovetail. Coffee junkie, recovering nerd. #Author | Addiction & Health #Recovery Speaker | Public Sector @ Netsmart | MHFA Instructor | National Guard Vet. #Inclusion - I advocate inclusive culture/inclusive employee experience. Writer/speaker/shouter/rhymer. Farm kid. USMC Vet. Smitten father. Lucky husband. International Talent Connector & Strategist. Executive Search & Career Transition Coach. Gender Balance Believer. CEO @3PlusInt. Loves words! Life learner. 47. (76) Maren Hogan ? NYC based HR pro (Humareso). Photographer (Patreon/Etsy). Freelance Writer (ADP Spark blog). Initiator of #fixitSHRM movement. Him/He. Rogers is an instructor of Mgmt at UIS and owner of Rogers HR Consulting. She has a Masters in HRD from UIUC, a Bachelor’s in PR from ISU. Human of the Future VP Individual Performance Strategy at Creative Group, Inc. Incentive, Reward & Recognition Personality Creating Thrivability! Immersed in the worlds of Human Resources and Communications as freelance practitioner, writer and explorer of concepts from a holistic perspective. El verdadero líder es aquel que lidera a las personas que cambian el mundo. Tu #ResponsabilidadSocial es la mayor medida de tu #DesarrolloPersonal. RT no = OK.
Strong ideas loosely held. Principal Analyst, HRExaminer. Intelligent tools and Data Correspondent, HRExecutive. Senior Fellow, Conference Board. Leading HR transformation consultant and strategic advisor. IA (@VoiceOfHR) founder. Determined runner. Traveling fool. Human resources consultant and all around curious guy. Help small biz solve people issues. Blogger, Teacher, speaker, advisor. Changing HR. 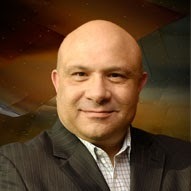 IBM Futurist. Consulting & marketing for The Starr Conspiracy. Recovering HR pro. Former Portland guy (Go Blazers!) and WSU alum (Go Cougs!). My opinions are always right. Advisor, Speaker; Board Member at Motivis Learning and HRCI. Recruiter & Sourcing Strategist at @FairviewHealth. Former Adv Exec. Hockey & social media addict. @MNREC Advisory Board. #JobHuntChat Leader. #SHRM19Blogger. Employer Brand | Recruitment MKT | Talent Attraction | Co-founder @TalentBrandOrg | Future Author | Catch me = #ebchat | Ask about working @InsideIndeed.